What’s one thing everyone in the world has in common? 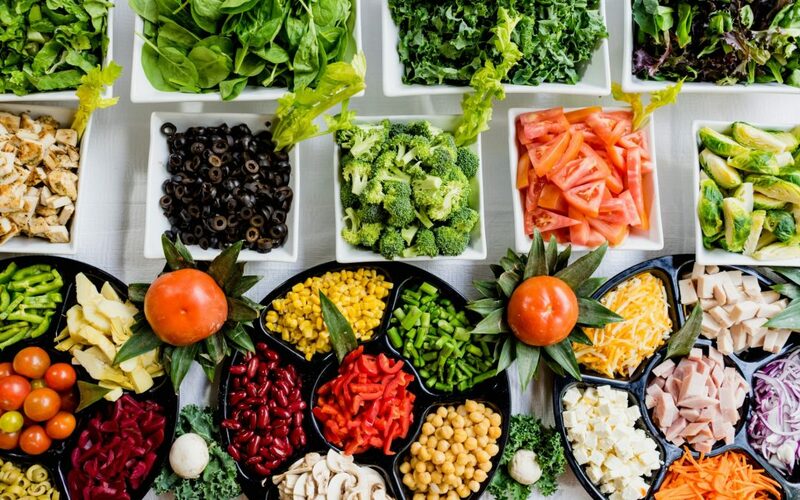 Yet, “over half (58%) of all food produced in Canada is wasted, and 32% of this wasted food is avoidable”, which we discuss in our blog earlier this month, each one of us can make a difference for the better. 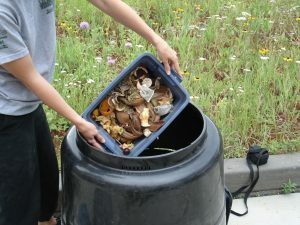 When food is thrown out, it gets buried in the landfill, where it can’t decompose. Landfills are highly compacted so no air reaches the tossed food. That means that as it breaks down, the bacteria that slowly eat our food waste release methane, which is 25 times more powerful than CO2. This has a huge impact on our environment, which we have the power to change! Not only this, but we are throwing away food that could potentially help feed others in need. Currently, one in eight Canadian households is food insecure. Canadians as a whole are throwing away $50B a year in food. What a big waste of money. Everyone along our food chain has a part to play in reducing food waste: producers, manufacturers, grocery stores, and households. We have a lot of power, in our pocketbooks, our habits, and our voices, to influence this chain. Therefore, I’ve decided to help Canadians find easy and unique ways to help reduce food waste and make a difference. Every week for the next year, we will be sharing a food waste tip to try at home. If you have any tips to share, please comment below, or follow our social media to offer ideas and keep track of what we’re trying. In case you couldn’t wait to start, I’m sharing Ten top tips to try right now, in no particular order. 1. Meal plan. By preparing ahead, it’s easier to see what ingredients you need and what you have leftover to eat up. Next week, we’ll be sharing more tips on this to try this out. This is something that people at any budget level can do, and it will save you money, guaranteed! 2. Don’t be scared of mold. A bit of mold on the pepper or block of cheese isn’t going to kill you. If there’s a small spot of mold, just cut it off and use the rest as usual. Learn a little more about how to determine what to do when you see mould here. 3. Check to see if it’s still good before you toss it. There’s a handy website called Still Tasty where you can input any food item to see if it’s still good to keep or not. Often, food lasts longer than we think it does. 4. Take inventory of what you already have before you buy more. How many times have you run out for an item, only to come home and see that it was in the pantry all along? I have! 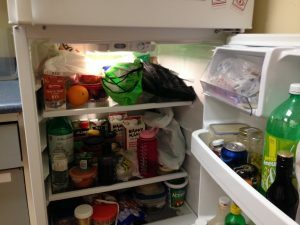 Double check what you have before you go grocery stores, and it can save you money, time and waste. For areas like the deep-freeze or pantry, where we tend to pile food and forget about it, consider keeping an inventory list so you don’t have to dig to see what you have. 5. Buy just the quantity you need – don’t fall for the bulk trap. Often we find ourselves buying more because it looks like a great deal, but if we’re tossing it away anyways, then is it really a good deal? Note that “buying in bulk” as in, bringing your own containers (ideally) to buy exactly the quantity of food you want out of a bin or dispenser, is a good idea. Do you really need what amounts to a five year supply of cayenne pepper, or just a tablespoon or two? 7. Compost. While we really should be working to reduce excess food waste in the first place, if food does go bad, don’t toss it in the garbage. Green Action Centre’s Composting Program can help you start composting at home (or work, or school…) or help you troubleshoot if you’re stuck – visit our compost page for more information. 8. Use your freezer. One way to extend the life of food items is to properly freeze it and use it later. We will be sharing ways to store many items of food you many not have realized you could freeze in our tips. 9. Store your food properly. One reason our food may be going bad sooner than we hoped is because we didn’t store it properly. Start learning how to store your food for maximum shelf life at Save The Food. 10. Share food with others. Have too much food and can’t eat it all before it goes bad? Try sharing it with your neighbors! If your food is in sealed containers, there’s a lot of organizations that would love to benefit from your extra: Winnipeg Harvest or your local food bank; Women’s and Indigenous centres; shelters; and more. Some organizations will also accept fresh foods in good shape, like Agape Table and Oak Table ministries. Fruit Share is another way you can share excess food with others, if you have fruits or vegetables growing at home that produce more than you can handle (even a crabapple tree produces fruit that can be turned into delicious sauces, jellies, and juices!). Even adding one or two of these tips into your day could make a big difference to food waste and your pocketbook. Over the next year, we will be sharing these tips and more to try to help move that 32% of avoidable waste down to 0. Stay tuned, and follow us on social media (@greenactioncentre on Facebook, Twitter, and Instagram) to learn more! Good tips Lea! I just did my freezer inventory update this month. I now have a handy list of ingredients that I can use for healthy meal planning! While also cleaning out my freezer for the new garden season.